Let me share with you some insight into these myths and the facts associated with them. This is the most persuasive statement that the window salesperson will lead with – even though it isn’t true. He/she is trying to test you to see how much you really know about the codes. The truth is NO ONE must change/replace their home’s windows with impact windows. The building code only states that your window openings must be protected with a tested and approved hurricane product. 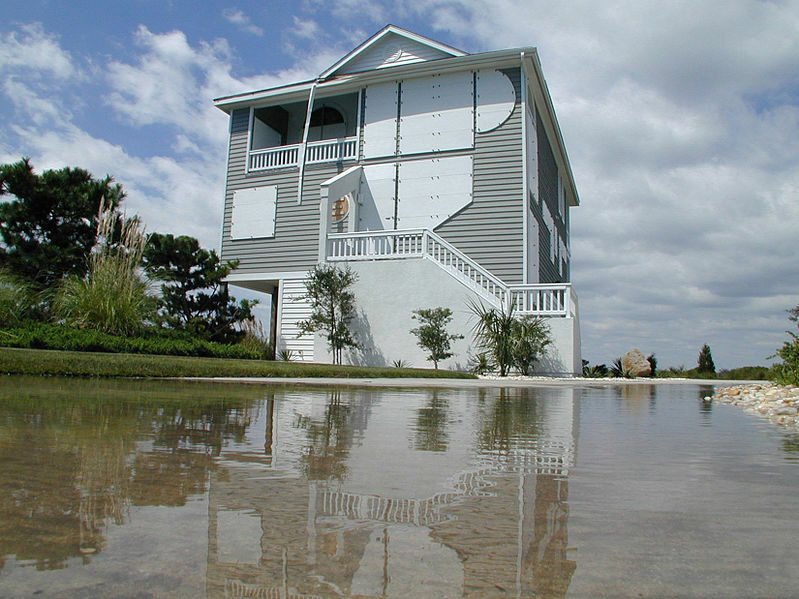 Hurricane impact windows are merely one of MANY OPTIONS that you have available to accomplish this. Storm panels, fabrics, screens, netting, translucent panels, Bahama shutters, accordion shutters, roll-down shutters and crystal clear panels will all be building code compliant as long as they have hurricane approval. This myth may very well be the opinion of the window salesperson, but it is hardly factual. What criteria determines “the best”? How can these windows be the “best form of hurricane protection” when they break and have to be replaced at a cost that is 2 or 3 times (or more) the cost of regular windows? I’m no Rhodes Scholar, but even I know that spending $1200.00 for a new window and then replacing it with another new one after the first one breaks is going to be a total of $2400.00. A regular window that costs $400.00 plus a quality hurricane shutter that might cost $600.00 only adds up to $1000.00 and the window isn’t going to get broken during the storm. There’s lots of wiggle room to buy an even more expensive window, too. Even if you spent $1000.00 on a window, the combined cost of window and shutter is still cheaper than buying a hurricane impact window twice! Enough said! I don’t even know where to begin with this myth. First of all, short of buying bullet resistant glass, there’s no such thing as a “hurricane proof” window available to homeowners – period! Every single window that is manufactured by the top 10 U.S. window companies, will break when subjected to the large missile impact test for hurricane approval. Even a gently swung hammer, a thrown brick or even a tiny center-punch will break them, so “hurricane proof” isn’t even close to the truth. Youtube videos are a great way to see the truth in real life. Every single one that I have watched has the same ugly ending – a totally destroyed window with a big mess to clean up. It seems that the only folks who believe this myth are the window manufacturers, themselves. Every independent group that does testing agrees that in order for energy efficient pvc framed impact windows to pay for the cost difference between themselves and a regular window will take a minimum of 40 years! That’s not a lifetime for you or me, but it does happen to exceed the lifetime of the windows. He average life of pvc framed windows in Florida’s climate is 25-30 years. And even if it were 40 years, that means that as soon as a window has paid for itself, it’s time for a new one. Sounds almost like buying a new car, doesn’t it? Dictionary.com – to break (something) into pieces, as by a blow. The next time that you visit Youtube, search and watch “hurricane impact window test” and you’ll see that every impact window that gets tested absolutely shatters into thousands of pieces that fly everywhere!! You’ll also see some windows with aftermarket, applied security films – they also allow the window to break but actually do a better job of holding the glass together than most of the impact windows tested. Window people misuse the phrase “won’t shatter” and I wish that I knew why these people want to expose the public to this risk. The laminated glass shatters and in the event of a small impact episode the broken shards stick to the inner liner. But in the event of a violent impact, glass shards from the laminated glass will go flying into the room and can injure anyone insidet. Putting window film on the inside of your impact windows would make them safer, but most window companies will not warranty your windows if you apply window film to them. 3. to get along or remain happy, healthy and unaffected in spite of some occurrence. I guess that the window people have their own set of definitions because, to me, if a window survives or withstands a hurricane, it should still be in place and functioning as a window – still keeping the wind and rain out, still clear and able to be seen through. These words certainly don’t apply to an impact window after it has been subjected to a 2 x 4 traveling at only 34 mph. What the window people want the words to mean are that it will still be in the window frame and laying on the floor. It won’t be water or wind resistant but it will still keep the room from being pressurized by high winds and that’s about it. This doesn’t sound like “surviving” or “withstanding” to me – does it to you? PLEASE don’t make this mistake! If you want to protect the money that you have plunked down on your new windows, keep your old shutters! Throwing them away or selling them is like getting rid of a raincoat because you bought a new jacket. You still need the impact protection of shutters to protect your hurricane window investment just like you still need the raincoat to protect your new jacket!! As soon as your windows sustain a hit from a large missile impact, albeit during a storm or from some other source, your window will have to be replaced. Check with your insurance company to find out the terms of your policy. Most insurance companies won’t pay for the total cost of impact window replacement. They only cover the cost of a standard window replacement, but for the ones that do cover the cost, many of them will only do so once and then you will be required to shutter them for the next time. This statement is only partially false. A savvy home buyer already knows the disadvantages of having impact windows in their home and will use it against you during negotiations – especially if the windows are more than a few years old. They know that the cost of replacement is high and that they will have to invest in shutters to protect the expensive windows. They also know that impact windows are plagued with problems like broken internal springs, foggy panes and that the pvc frames can warp and get brittle with age. These are all signs of low-budget window improvements used by “flippers” and not conscientious homeowners who are attempting to improve their home. Aluminum framed, powder coated, non-impact windows with high quality shutters are sure signs that the homeowner did his/her homework on the correct way to outfit a home with windows aimed at maximum protection, long life and low maintenance. Your best approach to keep from getting sucked into a poor choice of hurricane protection is to become an educated consumer who doesn’t rely on only what you are told by those whose interests are served by the window industry. It’s their job to sell more windows and they push the limits any way that they can to accomplish that end. It’s up to you to protect your family, home and property the best way that you know how. Knowledge is power so don’t be afraid to acquire it when it comes to protecting the things that you cherish. If you’ve decided to get new windows, do your research, ask questions and read the window literature carefully. If you see phrases like “hurricane proof”, shatterproof”, “unbreakable” or “withstands/survives hurricanes” BE CAREFUL. These statements are all false when they are referencing any glass window – impact rated or standard – because there is no such thing. These words are intended to convince you that hurricane impact windows take away all of the worries about broken windows as a result of hurricanes and hurricane debris. If you already have impact windows, you may want to consider protecting them and extending their life to protect your investment. Either one of these scenarios will make you a good candidate for the crystal clear protection of Evolution Hurricane Shutters. You get superior strength, energy savings and clear-as-glass views. 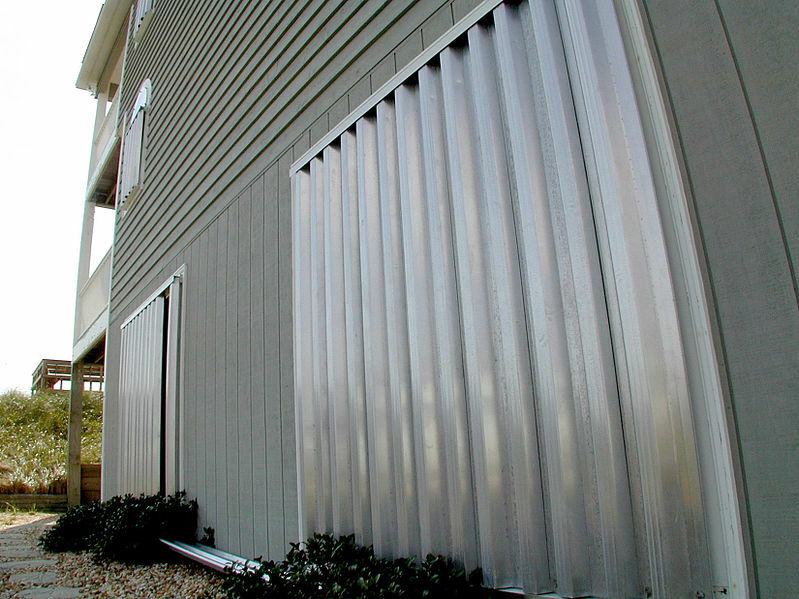 Visit our website at http://www.evolutionhurricaneshutters.com for information and videos about our unique product. Categories Architects, Builders & designers, Home builders / remodelers, Homeowners, The stuff.. Which Hurricane Shutters Are For Me? It’s not just about hurricane shutter knowledge, either. I research damned near everything that I buy – from hardware at the big box stores – to computers – to vehicles. I want to know what I’m shopping for and what to avoid, who’s got the best quality and can I return it if I don’t need it or it doesn’t perform as advertised?. Even with all of this forethought, I still manage to screw up a personal purchase every once in a while, due mostly to relying on my memory instead of taking time to review my research. I don’t know what has changed over the years, but when I went to school (it was quite a while ago) my history teacher taught us that “good legislation” was something that did the most good for the most people. It seems that today “good legislation” is something that benefits an industry, a specialized group or a few select individuals. Is it just me??? The only hurricane protection that I use is that which I have built myself. Now I freely admit that I am NOT an “expert” on every brand, style, design or patent on everything out there being sold. And no, I haven’t scoured the Web to find every single brand and type of hurricane protection that’s out there. Everything written to describe the products that appear in this blog is a generalization of the category, that has been published many times over on the internet. But every personal experience is real. For example, I have never owned rolldown or accordion shutters, but some of my customers, friends and relatives have. When one of them told me that they didn’t like their rolldowns or accordions because they rattled from the wind and being hit by tree limbs during the last storm, I’m not about to look them in the face and call them liars. Now, there may be some newer model rolldown or accordion that have found a way to eliminate the rattle but I have not seen any literature stating that their design eliminates rattles. When they tell me that during the last storm the corrugated panels covering their patio doors made loud buzzing noises at the overlapping seams or that when the tropical force winds came out of the south the rain and wind came in between the panel and the stucco walls, I kinda’ hafta’ take their word for it that it happened. What I can tell you as a fact is that there are many distinct advantages to aluminum framed hurricane shutters constructed of flat polycarbonate as opposed to all of the other aftermarket types of hurricane shutters. In my next post, I’ll give you some questions to ask yourself and points to ponder concerning your own hurricane protection needs.